One of the most exciting steps in our branding evolution is the transition of our product packaging. In the following months you will begin to see our new logo and color palette come to life on our updated labels. 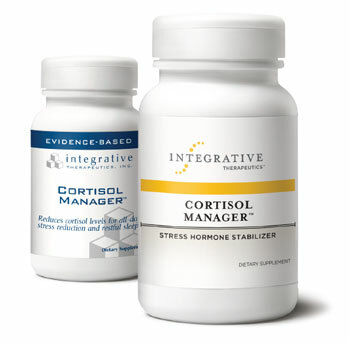 The updated Integrative label design features our new integral logo along with a front panel color bar. This design element will most often feature our signature warm yellow hue. However, you will see alternate colors used for line extensions such as Rhizinate® 3X or Similase® Sensitive Stomach, so that you can quickly select what each patient needs within a product family. The new front label panel also features consistent placement for “strength” or “flavor” information, allowing you to easily distinguish between similar formulas, such as our 200 mg chocolate flavored Vitaline® CoQ10 or our 300 mg maple nut flavor. We are working as quickly as possible to update all of our labels, and you will see the new label begin rolling in to stock this month. However, with over 300 items, this transition will continue throughout the course of 2014. At the time a product is bottled with the new design you will see our website product images reflecting the change. Generally this new batch of product begins shipping out around 2-3 weeks after that time. If you order directly from Integrative Therapeutics, you will likely begin to receive product with new packaging sooner than if you order through one of our distributor partners. We understand that this transition may be confusing for your patients or office staff. The key message you will want to communicate is that this is merely an aesthetic change. You can both be assured that no matter the label, the product inside will deliver the same effective results you expect from Integrative Therapeutics. We look forward to continuing to implement our new look across all brand collateral in order to deliver a more professional and consistent appearance. For more information on our branding evolution, watch this short video.